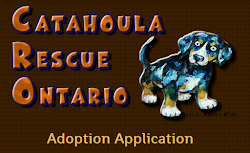 Catahoula Rescue-Ontario: Meet Magoo ADOPTED! Mr. Magoo is a wonderful one year old (approx.) Catahoula mix. 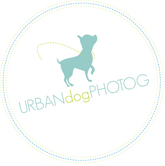 He loves to cuddle and is very active – he loves his play dates at the ball park with friends. He is learning his basic commands and to walk on leash and is coming along very well, he is a smart cookie. He is house trained and good in the house (does not destroy things). Mr. Magoo is in a foster home with a cat, he respects the cat and while he is curious, he does not chase him. This pup is very loveable and would make a great addition to any family. He would do best with older children due to his enthusiasm but is very friendly with everyone. He will need plenty of daily off leash play. Mr. Magoo is neutered, up to date on vaccinations, heartworm tested (negative), and will be microchipped prior to adoption.